Bridgestone Blizzak LM-60 tires take high performance snow tires to a new level. For drivers of higher end sport coupes and sedans, this is a serious contender, if not the winner of the best snow tire on the market. Basically, the LM60 takes the Blizzak WS-60 design and infuses it with a silica tread compound to give it incredible traction and handling in all conditions and temperatures not found in other snow tires. A directional tread pattern that is M+S rated, sports independent tread blocks, 3-D sipes and a unique tread compound. Inside the tread you’ll find twin steel belts that are nylon wrapped to give this tire more strength and stability, especially at higher speeds. It also provides a smoother ride on snow or dry pavement. Overall, we like this snow tire. Bridgestone has incorporated a winning tread design into a high performance winter driving tire that works. Prices on LM 60 Blizzaks range from around $170 for the 17 inch series to approximately $340 for the larger 20 inch series tires. Cut your cost with Bridgestone discount coupon below, or find other discount tires coupons here. Who Are Bridgestone Blizzak LM-60 Tires Designed For? Bridgestone Blizzak LM60 tires are built for high performance coupes and sedans for drivers who are wanting the best in wet and dry winter weather traction and performance. Bridgestone Tires does not have a mileage warranty on the Blizzak LM60 tire. However, you will find a first 1/32 inch of wear on the tire’s uniformity. Materials and workmanship are backed for 5 years and prorated during this time to final 2/32 inch of useable tread life on the tire. 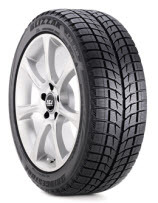 Note: Bridgestone Tires advises the Blizzak LM-60 to be purchased in sets of four. This is mainly due to getting the best traction and performance out of the tires.